For designers, one of the most frustrating things about working in a truly global marketplace is that fashions never seem to stick around very long before trends move on to something else, but this phenomenon is also one of the most exciting things about it as well. It means that people can express their individual style without being looked upon as out of date or cliché in some way. 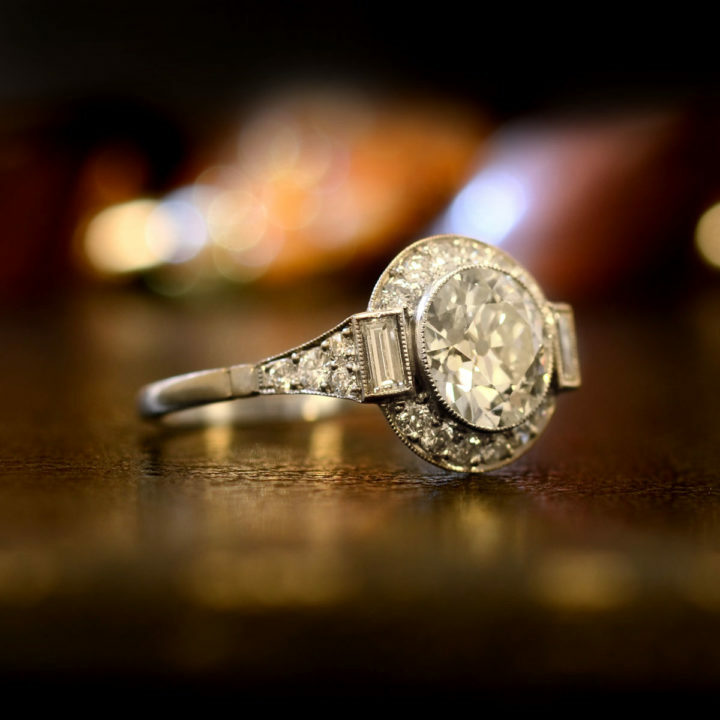 In the past 100 years, engagement ring design has gone through many guises, from the ever popular art deco, to the more extravagant designs of recent years where cost seems to trump style. But, whatever your tastes, you can be certain that not only will there be rings that you love, but also that trends are more flexible today, meaning some styles that we thought may have gone for good are experiencing a renaissance of some magnitude. Here we look at some of the trends that are working their way back into the public conscience in 2017. 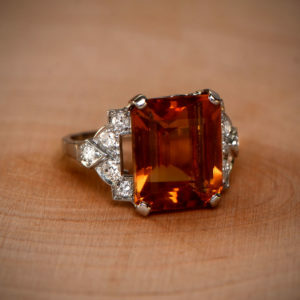 60 years of creative marketing has convinced us that diamonds are the only ring that should ever adorn an engagement ring but, whilst there’s no doubting the timeless classic air of a diamond ring, colored stones have made a huge comeback this year. Rubies, in particular are very on trend as we go through 2017, both as the center stone in a setting containing smaller diamonds, or as a pave of elegant color around a large center diamond in a classic art nouveau design. Sapphires are another big winner this year. The revival of sapphire engagement rings started when Prince William proposed to Kate with his mother’s sapphire and diamond ring, and this combination has proved to be very popular, even more so this year as the family has been right in the spotlight with new pictures of the children being released. Whether a single sapphire or an altogether different approach, sapphires are one of THE big news items at present. Whether it’s emeralds, aquamarine or even onyx, color really is on the up. Art nouveau is all too often the undeserved poor relation of period style, gaining a reputation for being a little “twee”, but the resurrection of the arts and crafts movement as a blossoming cottage industry has led to the style being reborn among buyers of fine jewelry and, in particular, engagement rings. The softer floral motifs, with a heritage born in nature and incorporated into jewelry in ways which demanded craftsmanship of the highest level , art nouveau rings are a mesmerizing blend of intricacy and flowing curves which have proved to be a welcome relief from the sharp edges of modern life. Art nouveau is back in the big time, and bringing a style and class back to engagement rings that brides-to-be are just loving at the moment. As we mentioned, convention in fashion is something that has been overtaken by individuality and a desire for expression, As a result, many brides-to-be are looking for something different and, fortunately, there are plenty of great examples to be found nowadays. At times, the Edwardian era couldn’t really make its mind up whether to be art nouveau or art deco, and so we ended up with great “crossover” rings that just sparkle and just look wonderful on a ring finger! Similarly, gold is on the way back after decades of platinum ruling the ring-band business. As we start to appreciate more the value of yellow diamonds, gold is the perfect material to show these fancy marvels off to their very best ability. But it’s not just yellow diamonds that sparkle in gold, white diamonds in a gold setting offer a stunning contrast and is another very upwards trend in 2017. 2017, so far, has been all about being different. Not that classic diamond engagement rings are out, far from it, but a little daring and a dash of bravery has been thrown into the mix to make this year one of the most exciting in a long time.